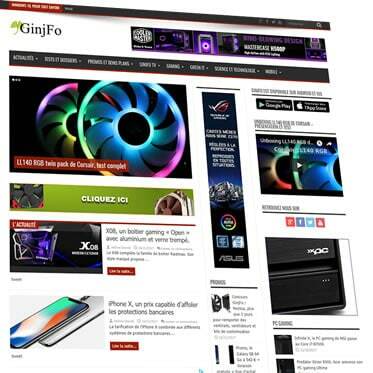 Smart&Com is a Print & Web advertising agency specialized in thematic medias (magazines, websites) around IT, gaming, hardware news, overclocking and LEGO toys. We know our sector of activity and our medias very well, which allows us to advise you effectively to maximize the impact of your campaigns. Communicate in the leading PC magazines : Hardware MAG & PC Update, two bi-monthly specialized hardware magazines. These two media are unanimously recognized for their seriousness and independence. Your communication will be enhanced by the quality editorial contents of the pages. Smart&Com represents several websites all leaders in their field, concentrating most of the available readership in France and in French-speaking areas : Hardware news, PC modding, overclocking, etc… Touch your target audience in real time on quality medias. Do you have a video project about high-tech news? We can help you to make it happen by putting our know-how at your service. Visit of a stand at an exhibition or a convention, presentation of products, etc… We are at your service to enhance your investments.